User Friendly, Attractive, Mobile Responsive Websites. Static & Dynamic Development. Company Profiles, E-Commerce, E-Payment, Booking System, etc. Our own templates deliver unique looks and features. By applying best-in-class technology & assigning a highly skilled team of developers to your project, we develop custom websites and fully interactive apps perfectly conforming to the client specifications. All our deliverables engage with customers on all devices and runs smooth across all platforms. Search engine optimization or SEO in short, is a set of rules that can be followed by website (or blog) owners to optimize their websites for search engines and thus improve their search engine rankings. In addition, it is a great way to increase the quality of their web sites by making them user- friendly, faster and easier to navigate. Social Media Management is the act of monitoring and participating in social conversations across platforms. The easiest way to view social media management is to consider that it includes 3 major social media disciplines: social listening, social analytics and social engagement. Social listening is when you gather everything that is being said about your brand. Social analytics help you undersand all the social media chatter and relate it to possible business changes. Social engagement is the act of interacting, usually 1-on-1 but occasionally at scale, with customers over social channels. Most business take on social engagement to close the loop with customers on their issues. Email marketing helps you connect with your audience to promote your brand and increase sales. You can use email marketing to do a lot of things, like sell products, share some news, or tell a story. With MailChimp’s email campaign builder, it’s easy to find the right email templates for any message. This can include anything from sending welcome emails to new subscribers, to notifying customers of a sale, to wishing a subscriber happy birthday—email marketing covers all of this and more. The reputation management industry has long reinforced these negative habits of thought, stoking fear that our brands will be hobbled and our businesses shuttered by bad press or scathing reviews. As brands and business owners, we're made to feel desperate, whip-sawed by forces beyond our control. And rep management providers swoop in to sell desperate solutions to desperate buyers. 22/1/14, Bankshall Street, Colombo-11, Sri Lanka. The world’s first Channel Manager system to be developed, Channel Manager Australia, collaborated with industry expert, Ezy Code Sri Lanka to synergise on their joint venture - ChannelManager.lk, a comprehensive Property Management System. 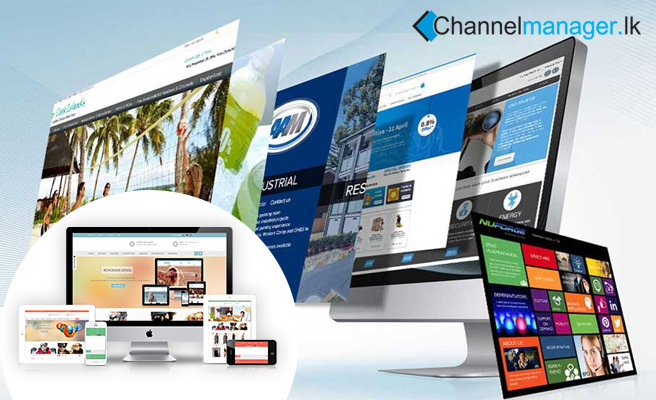 Channel Manager has established a hallmark of fame due to its widespread network, spanning across continents, used by numerous hotels of varying property sizes, from boutique hotels to national and international hotel chains. With just one tap to manage your entire property. © 2017 Channel Manager Sri Lanka. All rights reserved.